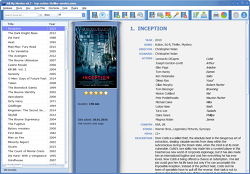 Our program is probably the best movie organizer software for Windows. You know, it is really fun to organize your movie collection. Just give it a try today. Have you been thinking of organizing your movie collection for years, but the number of movies in it and the volume of work to be done are seriously threatening you? Well, stop it! Now the new movie organizer called All My Movies has come to your relief and I can give you at least 5 reasons to start organizing your movie collection right now! In this movie collection organizer there are stipulated several super-easy and quickest possible ways to add movies: one by one or all at once - by scanning your hard drive for movies. If you add one movie after another to your collection, you can do it either using a bar code scanner, or entering just the movie title. Nothing more! For very big collections the issue of searching movies is really urgent as well. With All My Movies searching for a movie is easier and quicker than ever before! Sophisticated search, sorting and grouping options available in the movie organizer make the whole process just a piece of cake for you. 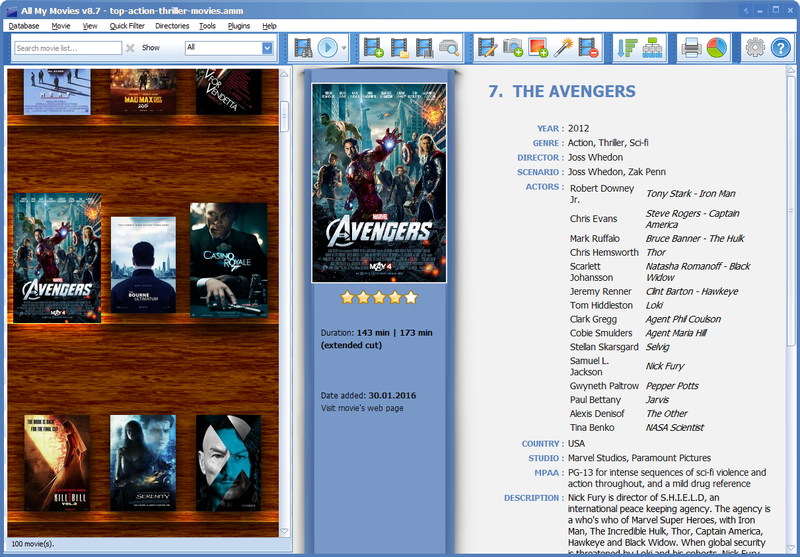 A good movie organizer is a nice way to spend unforgettable evenings with your family and friends. You can make an excellent album of your movie collection with colorful covers and pictures. Moreover you can generate a playlist - specify the order in which movies are played and enjoy your free time! 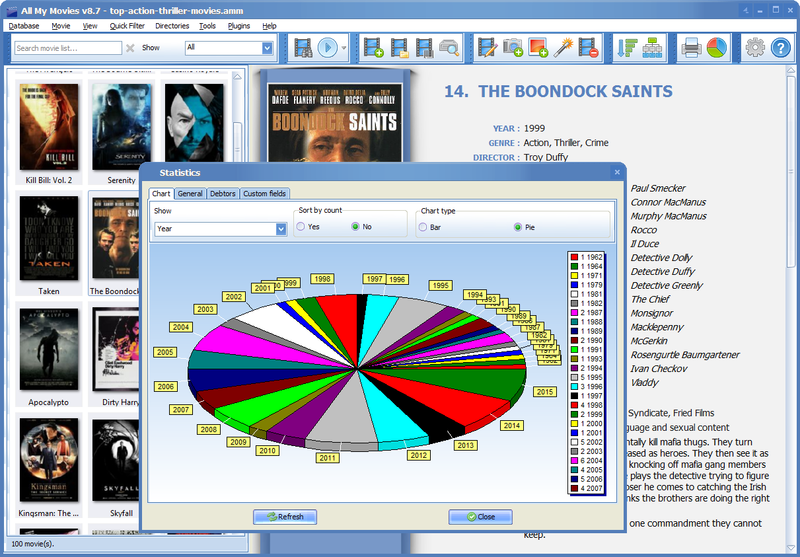 In the dvd organizer you always have fresh and updated information about actors, directors, and other persons involved in making the movie. You choose the online database to pick up info from, click and that's it! Biography and filmography details, pop-up photos - all these features make the program very attractive and just gorgeous! You exercise ultimate control over your collection through a set of means in the blu-ray organizer. The first one is loan/return manager which allows you to keep track of movies and those who borrowed them from you. Then the program has also password protection of movie collection, so that nobody except you could enter your movie collection. If the collection is really large, then the ability to always own the list of movies on your mobile device which you already have in the movie library becomes just indispensible. This will help you to avoid buying duplicate movies and save money. All My Movies is among the state-of-the-art movie collection organizers at present, but its price is really modest - so you can enjoy the highest quality without paying too much. Since you are a movie and software lover, may be you consider our video editor as well? Just try it free and let us know your opinion.